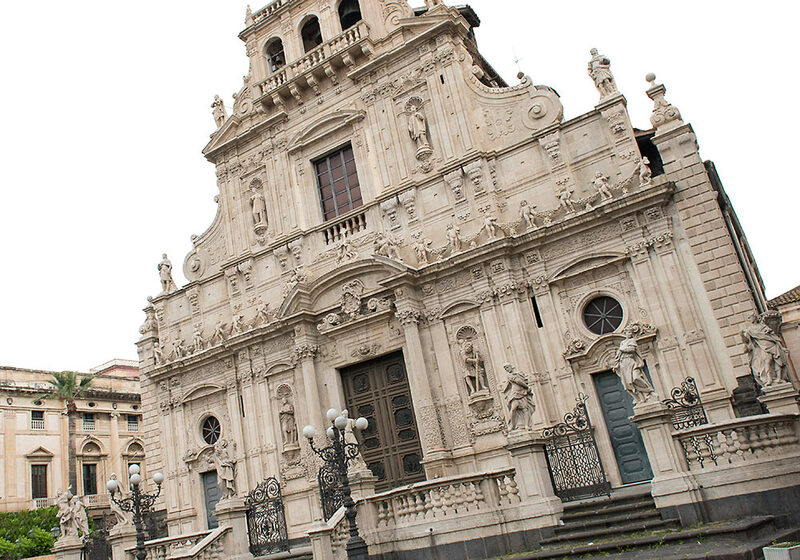 Acireale's San Sebastiano has one of the most beautiful baroque facades in Sicily. 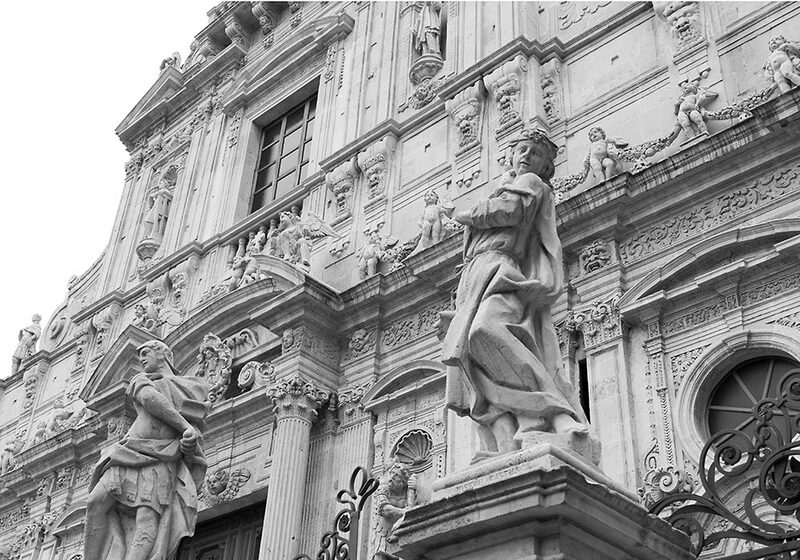 The statues are by Giovanni Battista Marino (1754). 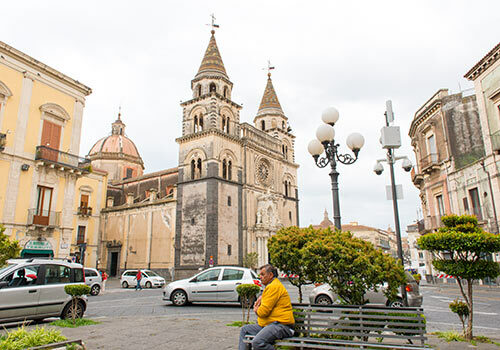 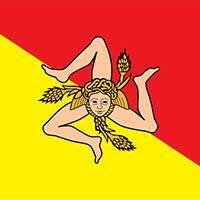 The most striking church in Acireale, is the Church of San Sebastiano. 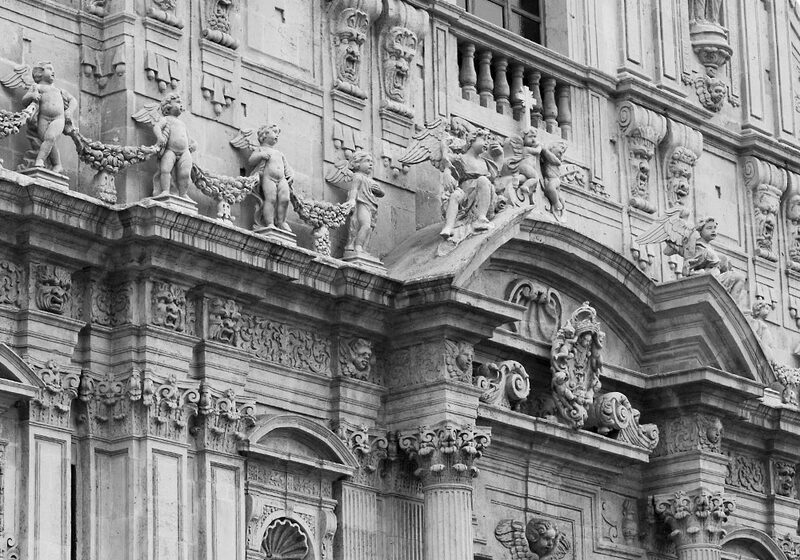 The facade is packed with statues and ornaments, not to mention the delightful frieze of cherubs crossing the whole facade from left to right. 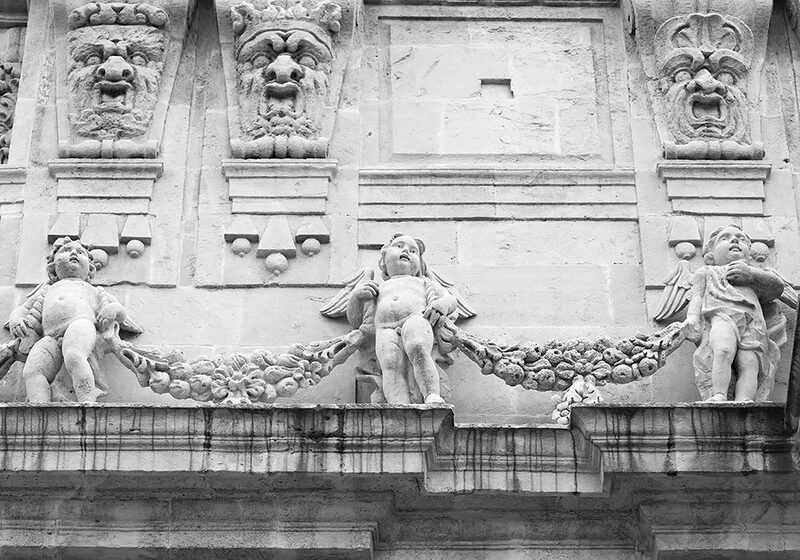 Cherubs on the Church of San Sebastiano, Acireale. 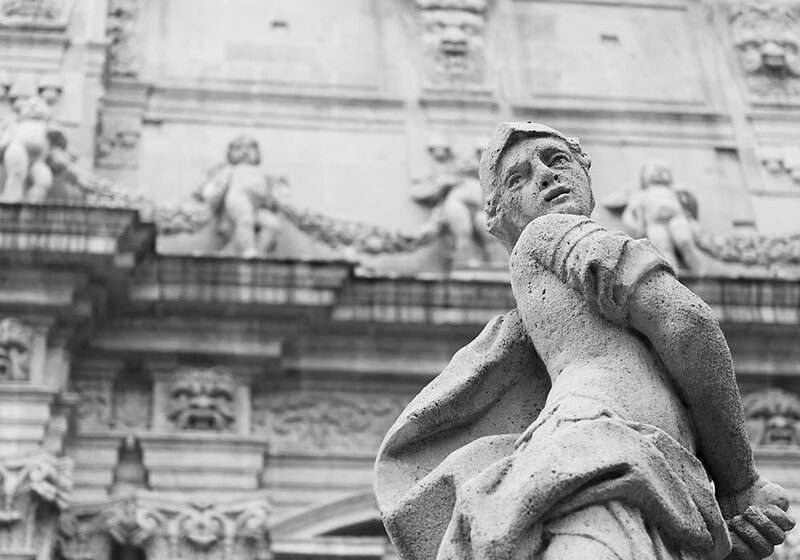 Statue outside the church of San Sebastiano. 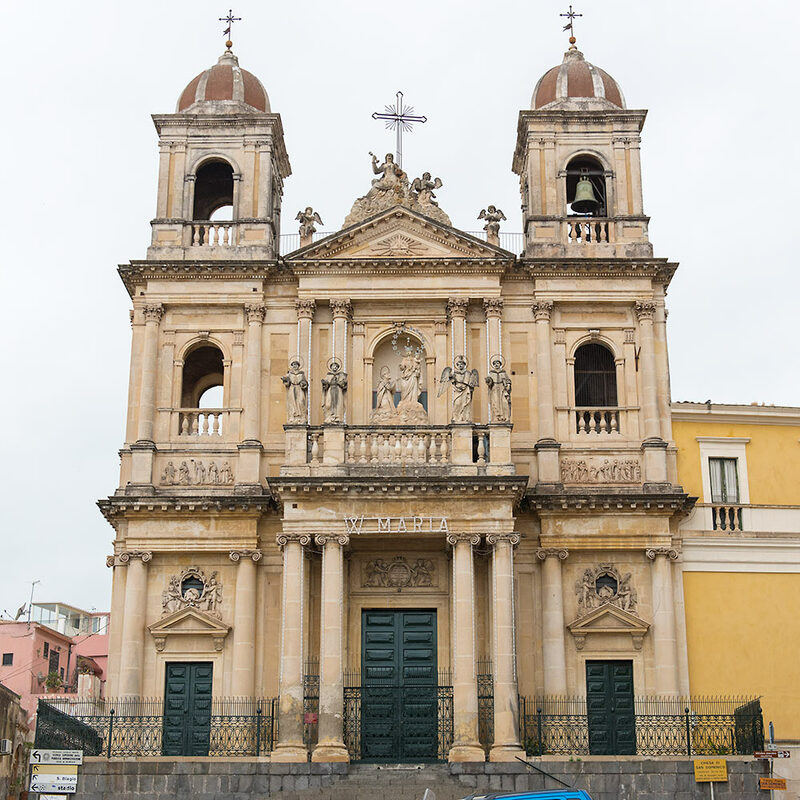 The church has a 17th century facade in Spanish-Baroque style. 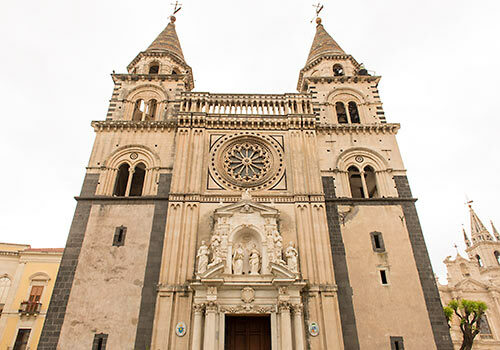 The church of San Domenico. 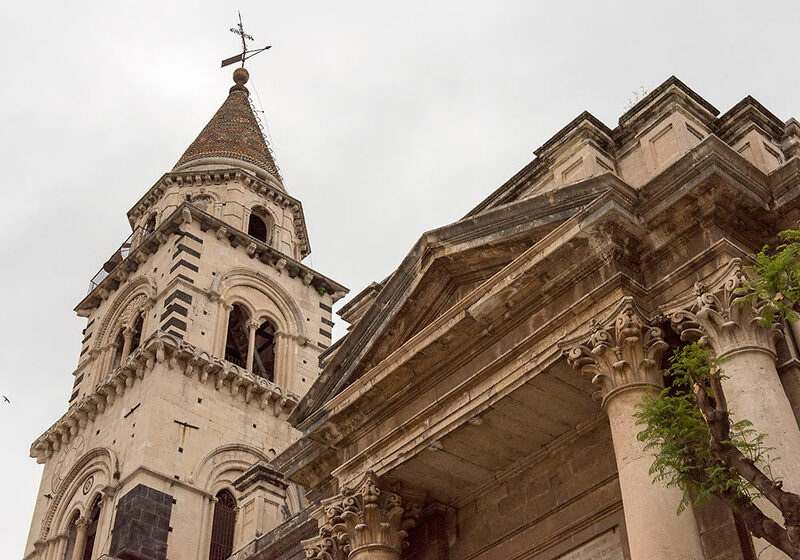 Outside the picture, to the left, is the 17th century Palazzo Musmeci. 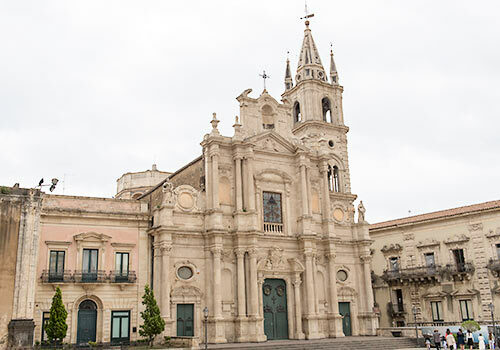 The church Santi Pietro e Paolo on the Piazza Duomo. 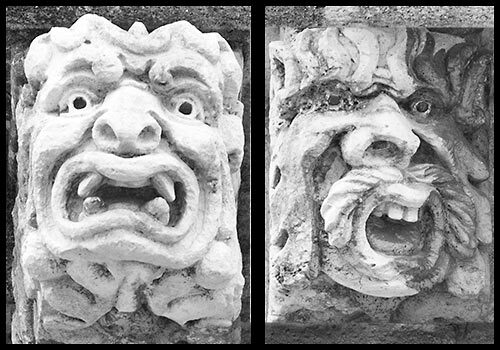 To the right you see the 17th century Town Hall with wonderful balconies supported by grotesque heads. 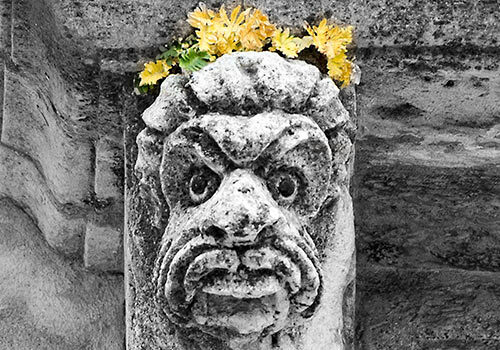 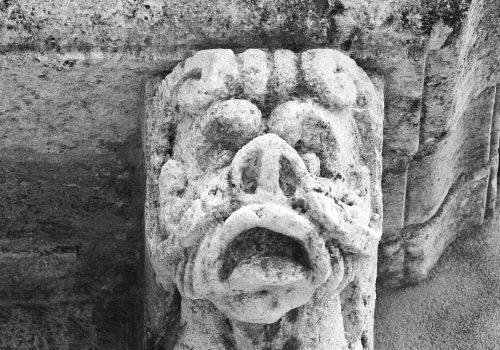 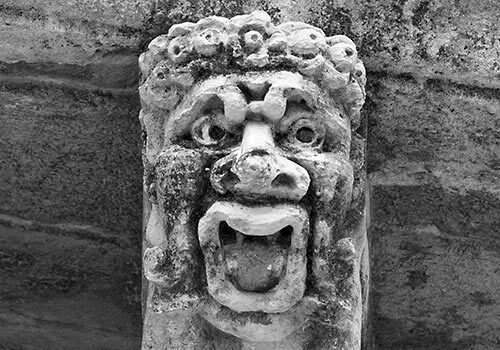 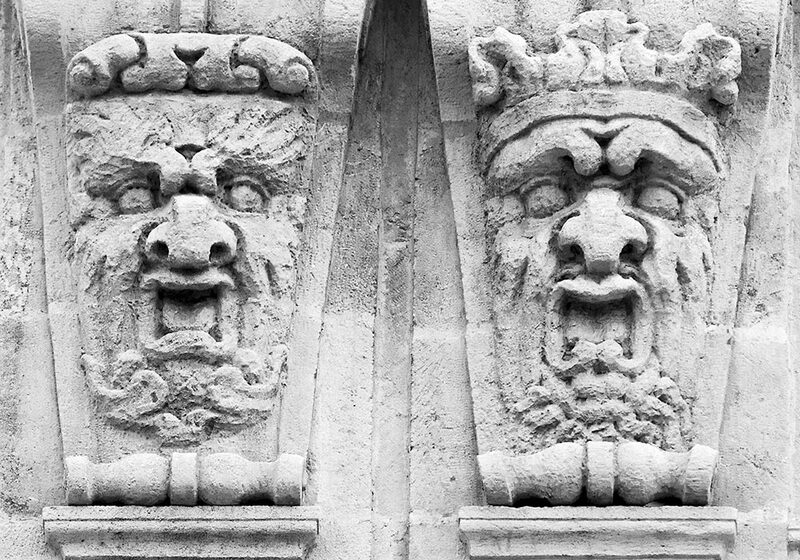 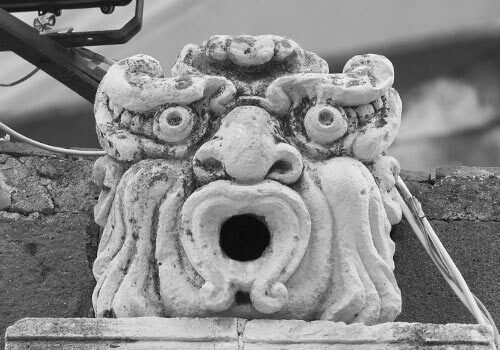 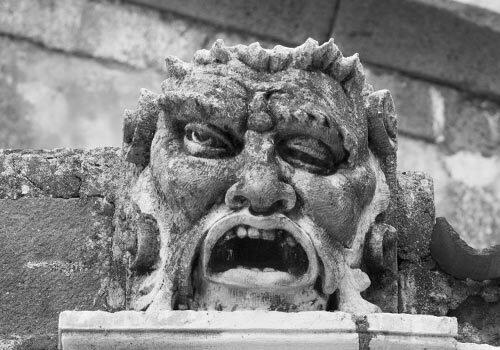 Faces on the church of San Sebastiano, Acireale.